Going, Going, Gone! Don't get caught sweating it out this summer. Chlorodifluoromethane, better known as HCFC-22 or R-22 is the most common refrigerant used in residential air conditioning units. However, R-22 is currently being phased out in the U.S. due to its very high potential to exacerbate ozone-depletion (R-22 is also a global warming gas). U.S. EPA has tried to reduce use of this material by imposing strict quotas on its production. Since 2010, the agency has also banned sale of new air-conditioning units containing the compound. As a result of the phase out, R-22 is in very short supply. And, as you might have guessed, has caused the price for R-22 to spike significantly in the past few months. If you have an air conditioner that uses R-22 refrigerant, you could be in for a big surprise if it breaks down in the coming summer months. R410a Puron refrigerant has replaced R-22 as the preferred refrigerant for use in residential and commercial air conditioners. So, if your existing R-22 unit is in need of repair, chances are it will not be cost effective to do so – and it may be time for a brand new air conditioner. You can find which type of refrigerant your unit uses by checking the rating plate on the outdoor unit, or by calling Tri-State Heating and Cooling with the unit model number. Tri-State has been installing Puron units in the West Chester and Fairfield area for many years, so you may not have anything to worry about. 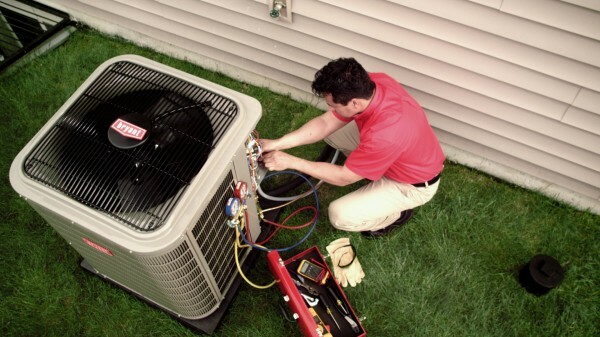 One way to be prepared is to have your unit serviced before the summer months arrive. You don’t want to be caught with a dead unit in the middle of July. Don’t forget to schedule your full system checkup as well. Stay cool and comfortable this summer with Tri-State Heating & Cooling.